Last week I was fanning the fire that spring was arriving early in Delaware ... and yesterday it snowed! However, the snowflakes didn't stick so I'm still holding out hope that I don't have to pull out my winter jacket again. The only ice I want to see is the sea salt ice cream soap pops and Sparkle Flake Swarovski crystal bracelet Rita Rebello featured. She also chose fiery items such as Beadmask's red masquerade mask and my fire dragon art magnet. Spring is all about HOT colors... Tangerine today. You are Cordially Invited to A Wedding in Black and White! I like the fire dragon magnet and leather mask above! Gorgeous treasury, there are some great items in there! I really love your magnet & that mask. The Irish Blessings for Charity collection is really appealing! I love celtic knotwork, and there are some very unusual representations here. There is another great group of treasuries this week. I'm particularly loving Deepwood Blooms. Thanks for another great round up as always! I hope that the snow stays away from your area for good. It's definitely time for some spring weather. Oooh! 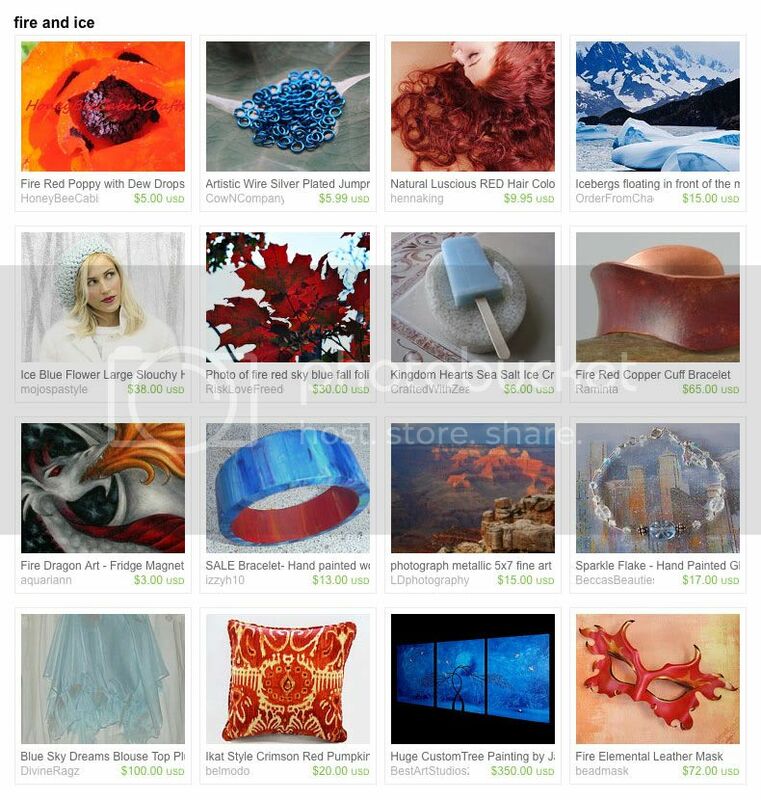 I love the combination of colors in this treasury. Beautiful hot treasury! So much heat! Thanks for the Linky! Love your blog. Lovely treasury! Thanks for hosting the linky!